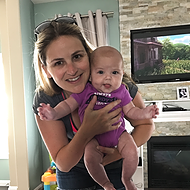 A Results-Based Program for You and Baby. Our next Shred Indoor Boot Camp kicks off Nov. 13th! Spaces limited. Register today. Get fit. Feel great. Take your baby along for the ride! 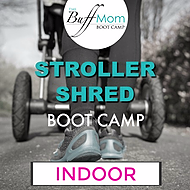 The Buff Mom Stroller Shred Program is designed to help new moms get fit through safe, fun and effective, group training. Each 45-minute class includes cardio interval circuits, functional resistance training, and core work to strengthen and tone the midsection. To measure your results, assessments will be taken on weeks 1, 3 and 6. The Buff Mom is an encouraging and supportive environment. 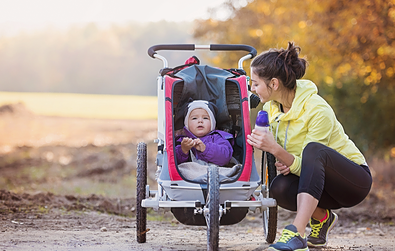 Take the workouts at your own pace, while soothing, changing, or cuddling your baby as needed. Safe for all levels of fitness, including brand new exercisers. Congrats to Ashely R. who shed 15.5 inches in just six weeks at our very first Stroller Shred program. Read More on her success. Stronger at every day tasks. 1. 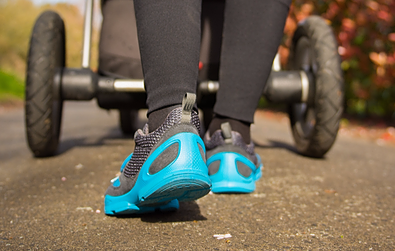 A regular stroller is suitable for the workout. 3. Remember water, snacks for baby and a towel. 4. Class requires a medium strength resistance tube. If you do not have, they are available here. 5. Let's have fun together in our non-competitive, friendly and supportive atmosphere. * * A minimum number of 10 participants is mandatory to run the program.